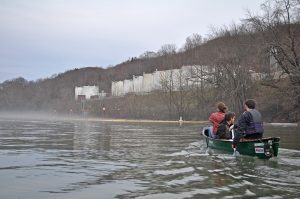 News reports of Thursday’s spill of a coal-processing chemical into West Virginia’s Elk River — and emergency orders to thousands of people to not drink or use their tap water — are currently focused on the still-unknown potential for direct harm to human health. But the widespread disruption caused by the spill raises other important questions, including: How could a relatively small-volume spill in one small river cut off drinking water access to roughly 300,000 people across eight counties — 16% of the state’s entire population? An increasing number of private wells in southwestern and central West Virginia, where the spill occurred, have been contaminated by decades of coal mining and processing. One result has been an ongoing expansion of municipal water systems to rural communities that would otherwise rely on well water. At the same time, shrinking tax revenue and declining investments in public infrastructure have compelled localities to contract with private companies like American Water to provide drinking water services. Driven by profit margins, companies have aggressively consolidated their businesses, leading them to serve ever larger distribution networks from only a handful of treatment plants and drinking water intakes, as is the case with yesterday’s spill. “With the increasing consolidation of drinking water systems into private hands, any sort of pollution spill, large or small, toxic or not, is more likely to have far-reaching impacts affecting potentially hundreds of thousands of people. Appalachian Voices is an award-winning, environmental non-profit committed to protecting the natural resources of central and southern Appalachia, focusing on reducing coal’s impact on the region and advancing our vision for a cleaner energy future. Founded in 1997, we are headquartered in Boone, N.C. with offices in Charlottesville, Va.; Knoxville, Tenn., and Washington, D.C.